Hope is the thing with feathers……. Here is the link to the third in the series of free audio workshops on Writing for Resilience: Shifting our emotional landscapes that Mary Reynolds Thompson & I put together in response to the fires in northern California, the floods and hurricanes in other places and the general turmoil in which we live. In this one we begin to look at regeneration and renewal. Thank you to everyone who has commented on these, shared their responses with us and the links with others. Continuing this theme – here’s a poem by Denise Levertov, another transplant from the UK to the US, who swapped the landscape of her birth (Ilford, England) for the landscape of the west (Seattle, USA). ©material used for educational purposes. What is hope for you? Write a letter to someone who gave you hope or to whom you gave hope. In this Mary Reynolds Thompson and I guide you through a two part write about a favourite literary landscape. This exercise is adapted from our chapter Inner and Outer Landscapes: bringing environment into the therapeutic relationship through expressive writing in Environmental Expressive Therapies. There are many books with a strong sense of place, where the landscape itself becomes a character. I can remember many books I read as a child that featured strong or memorable scenery – some landscapes were familiar to me, others gave me access to new and different worlds. As an adult, reading books set in previously familiar but now distant landscapes is another joy and way to re-connect with my past. Journal prompt: Make a list of landscapes in books that have made an impression on you. What do you notice about this list? Make notes on the significance of each one. Do let me know what books with strong landscapes have made an impression on you, an impression that perhaps you have retained. Please leave a comment on this post. Journal Prompt: Explore your relationship with reading over your life – has it changed? Can you remember learning to read? Who was involved with your early reading? What ‘bookish’ memories come to you? I am a compulsive reader – I read to learn about the world and to understand my own world. The urge to create a meaningful narrative from the events of a life, to understand and to learn, is one of the reasons people come to psychotherapy. Psychotherapists and authors might therefore agree that we read to make sense of our lives and our experience. I work a lot with clients with adoption stories (from different parts of the adoption triad). I run a group for adoptees. I am an adoptee. Perhaps this makes me particularly sensitive to these themes; I know I am profoundly grateful when I find them. These stories occur in adult fiction from Wuthering Heights to The Orphan Train. Children’s literature has always been full of adoption stories – think of Anne of Green Gables, The Secret Garden, The Once and Future King. Novels are extra resources I can suggest to clients and show me new perspectives on their stories and my own. The Novel Cure – An A-Z of Literary Remedies (Berthoud and Elderkin 2013) has a very short section on adoption – if you have come across any books (fiction, non-fiction – as I said, I’m eclectic) with these themes please do let me know at kate@katethompsontherapy.com or leave a note on this post. Leading up to the autumn equinox the aspen have started turning gold – some of them already bright, others yet to lose their green. 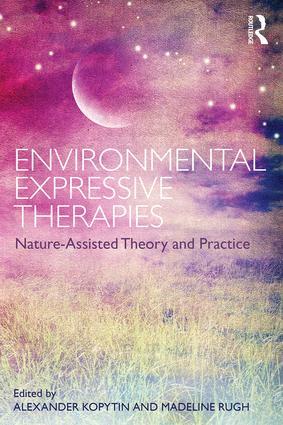 I’ve been thinking a lot about landscape as I’ve just submitted the chapter Mary Reynolds Thompson and I have co-authored (Inner and Outer Landscapes: Bringing Environment into the Therapeutic Relationship through Expressive Writing) for a new book (Environmental Expressive Therapies: Nature Assisted Theory and Practice eds Kopytin, A. & Rugh, M). It gave us the opportunity to align our different ways of working (from ecological and existential therapy approaches) and really explore the common ground, looking at our shared favourite authors and discovering new ones. We consider the power of writing about landscapes, both real and imagined, and how that affects the psyche. There are three circles in the writing process we have developed, with exercises for each stage. Sometimes landscapes in books can become as real and affective as actual inhabited landscapes. “Books, like landscapes, leave their marks in us” (Robert Macfarlane The Old Ways) As Jean-Paul Sartre and Robert Macfarlane remind us, we are all readers before we are writers. 1) Think of a book that made an impression on you at some time in your life, where the landscape has entered your imagination and memory because it was almost a character in its own right. Allow the landscape to come into focus as though you are looking through a camera, or at a picture in a frame. 2) Describe what you see within that frame, as though you were looking at a picture hanging on your wall. 3) Use the present tense, notice the colours, imagine the sounds, smells, see the relationships between the objects that make up the landscape. Let me know what landscapes in what books have left their marks in you. Leave a comment here on this blog.